Race season means I spend a lot of time either advising my athletes on race pacing or analysing and reviewing it after they’re done. While individuals vary, the principles generally don’t. 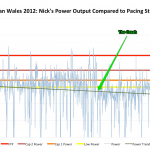 Inspired by a few Facebook comments on using power to pace a Half Ironman I thought I’d outline the strategy I use for athletes racing with power. 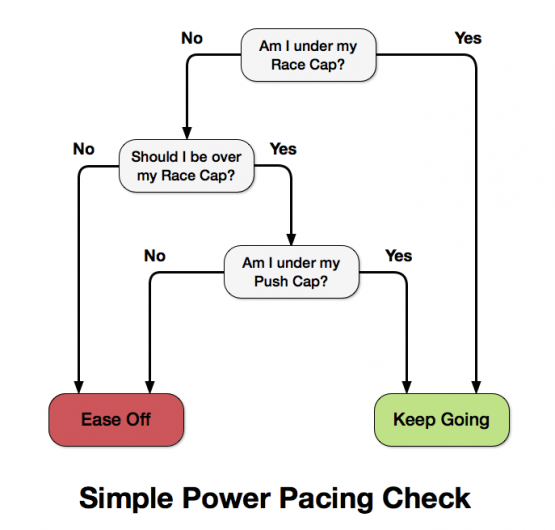 The pacing strategy I advise is simple, but also relatively flexible. It needs to be; a race is no time for complex calculations or rigid targets. To that point I set power caps to avoid rather than power targets to chase. The athlete’s goal is to ride to the best of their ability while remaining below the specified cap. If they’re having a bad day they shouldn’t overwork chasing an impossible target and if they’re – hopefully – having a good day they’re cautioned against pushing too hard. Typically these caps are specified as a relative percentage of an athletes Functional Threshold Power (and of course could be adjusted to work with other systems). My general guidelines would look something like the table below. So for an Ironman I’ll usually advise an athlete not to ride over 75% of their FTP (their Race Cap). Then it gets a little more complex: I add another power cap. There are times when it makes sense to work harder – short inclines, headwinds or overtaking for example – but an athlete still needs to keep their effort under control. That’s when the additional Push Cap comes in, an extra allowance for periods when it’s of benefit to work more. Such efforts should be rationed during the race and limited in their duration. For the Ironman my advice is typically to keep it under 85% of their FTP. Of course these caps will be crossed during a race, it’s unavoidable, the objective is to minimise this while still riding as strongly as possible. As they race all an athlete needs to do is regularly check the 3 questions in the flowchart below. I keep my setup simple on race day and limit my Garmin display to 3s Average Power, Time and Distance. The first rapidly informs me if I cross my power caps, the rest let me know how long or far I’ve gone. Some find 3s Average Power too variable, 10s Average is a reasonable substitute, but further averaging delays or hides warnings. Riding to caps needs relatively swift feedback that average or normalised power won’t necessarily show. You can, of course, put whatever variables you like on the other screens on your bike computer. Now the caveats and warnings. Just like setting an arbitrary power target for a race, setting arbitrary power caps needs testing in training. Ideally, as part of the peak period before a race, an athlete should practice riding their race bike according to these caps. 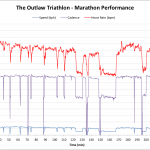 A simple session I might give an Ironman athlete is a 5 hour bike with two 60 minute efforts riding under their Race Cap during the second half; it’s not a particularly stressful workout, Ironman pace is relatively easy, it’s about the discipline of maintaining it. 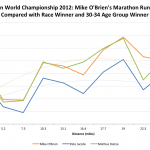 If the numbers appear to work in training you can be more confident applying them when racing. The other point of note is any power cap or target has the capability of limiting an athlete. Testing should minimise this risk, but the numbers given here are typical guidelines and individuals can (and will) vary. An athlete might be able to race a Half Ironman capped at 90% of their FTP and still run well, capping them at 85% would potentially limit their performance. No system is perfect, these are guidelines and should be adapted as appropriate. 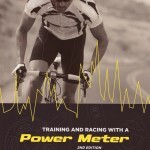 Final warning: power meters go wrong, heart rate straps fail to work. Every season I have athletes whose kit lets them down on race day. Develop a feel for race intensity in training. The strategy should be a backup and sanity check to this.